At the first Congress of the International Society of Soil Science (ISSS) in 1927, it was suggested that the world could feed at a maximum 15.9 billion people although at that time 7.7 billion was considered a more likely figure. The estimate was largely based on the climatic maps of the world by Köppen as soil maps of the world were not available. The human population in 1927 was 1.8 billion of which 72% lived in the temperate zone. 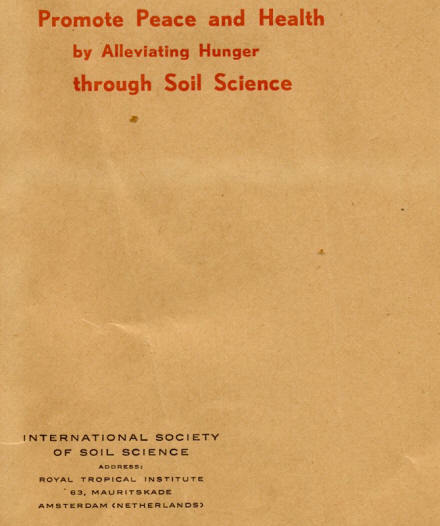 Soil science and food production became closely linked in the 1960s and the motto for the Seventh International Congress of Soil Science in 1960 in Madison was “Alleviate Hunger, Promote Peace through Soil Science”. In his presidential address R. Bradfield mentioned that he could think of no single group of scientists who have more to contribute to feed the world than this group. He also mentioned that agriculturists including soil scientists have had more experience and in general more success in increasing food production than population experts have had in population control. 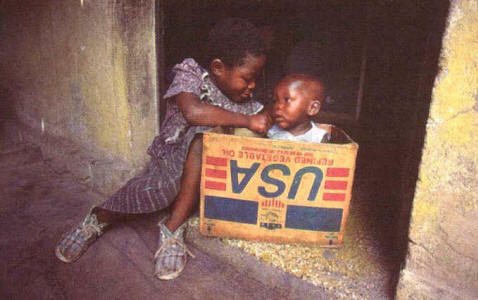 After the Second World War when international organisations such as the United Nations Food and Agricultural Organization (FAO) were established and many countries were aiming at independence, the feeding of the growing population became an important area of research. Increasing food production was a concern in Western Europe because of the devastation after the war and the baby boom. Fortunately, science came out of the war with high status and was overall respected. There was great optimism and positivism in the 1950s and agricultural research rapidly expanded. Most, if not all, agricultural research was directed towards agricultural production, which increased dramatically thanks to technological developments and major investments in agricultural infrastructure. Even though the term green revolution – a term coined in 1968 for the agricultural changes that began to spread through developing countries in the mid-1960s - is mostly being reserved for agricultural production in developing countries, it could apply as well to post-war agriculture in Western Europe. There is no doubt that soil science played an important role in the increase of agricultural productivity, and Malthus would have been correct predicting that population growth would outstrip food supplies but for the discoveries of soil scientists (according to Dennis Greenland). 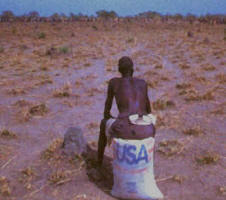 The feeding of the growing population is largely dependent on crop production. Yields of most crops have increased dramatically in the past century. The increase has been very rapid since the 1960s, and ever since that time the rise in yields has taken over from extension of the cultivated area as the major source of greater food production. The increase in crop yield has mainly arisen from the fruits of the green revolution. Except for a doubling or tripling of crop yields, these changes also resulted in less yield variability. Coefficients of variation for world production of wheat, rice and maize have fallen from 6-8% in the 1950s to 3-4% in the 1990s, indicating that the greater reliance on yield enhancement has not increased the instability of food supplies at the global level. Yield increases in the developing regions have remained below the world average. Worldwide between 1950 and 1995 yields have increased from 1.1 to 2.8 Mg ha–1 but yields were lower in the developing regions of the world. These yield increases were made possible by improved soil conditions and the availability of crop varieties able to respond to the better conditions. The improvements are the use of fertilisers and lime, irrigation and drainage and the effects of these amendments outweighed soil physical and chemical degradation. There is a decreasing trend in the growth rates of cereal production. The question arises whether crops have reached their genetic plateau so that further improvements in soil conditions have no more effect or whether the stagnation and decline in growth rates is related to soil degradation. Crop yield decline (or a negative growth rate) may be caused by a range of factors, including: weed infestation, the invasion of pests and diseases, genetic decline of the crop, or deterioration of soil chemical, biological or physical properties. The factors may be interrelated. If crops grow poorly because of a declining level in available P, weeds or striga may grow more vigorously and the crop may have less resistance against diseases, which can cause a decline in crop yields. There is much work remaining for soil scientists throughout the world!